When we were approached by ROKO to solve a problem, we were only too willing to oblige. The main problem, suffered by many multi-use health and fitness sites, was noise. Noise transfer to be exact. The General Manager was also concerned that the area, which was full of CV equipment, wasn’t being used to it’s full potential. The first step was to assess exactly how the gym area affected other areas in the building. 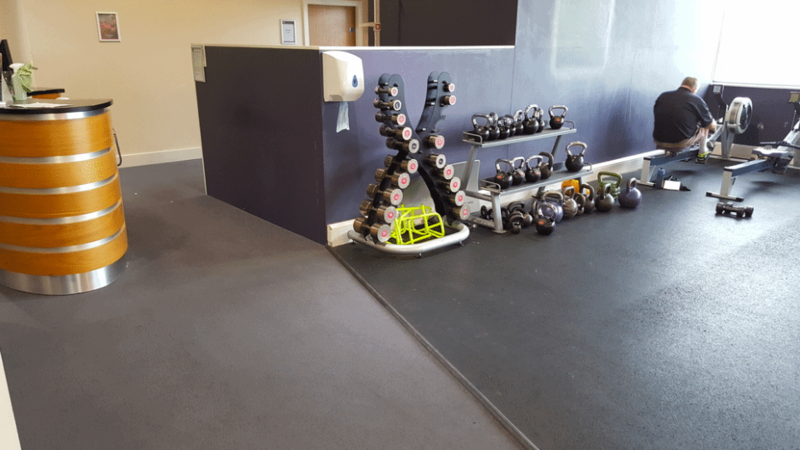 It became evident very quickly that the gym (which was located on the first floor) was impacting on the main health club space down below, which had a number of other businesses including a hairdressers, offices and spa. 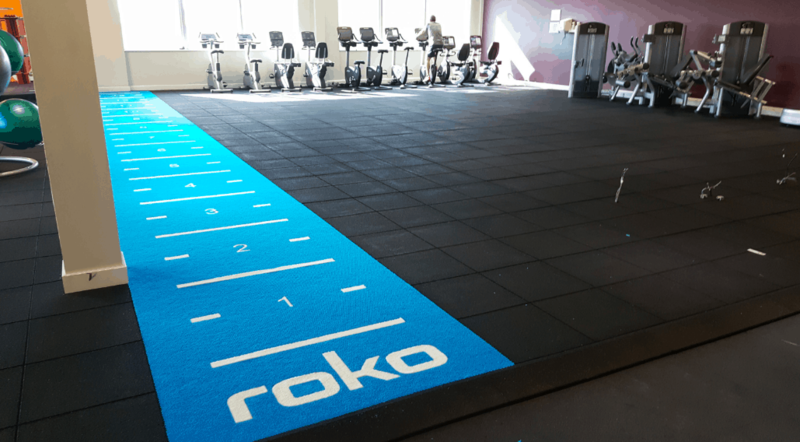 ROKO needed a solution to dramatically reduce the noise and vibration transfer from the gym above. After our initial assessment, we tested out a number of rubber tiles from our extensive catalogue of products. We then decided that our 40mm Impact Tile was best suited to this particular site and offered the best performance. 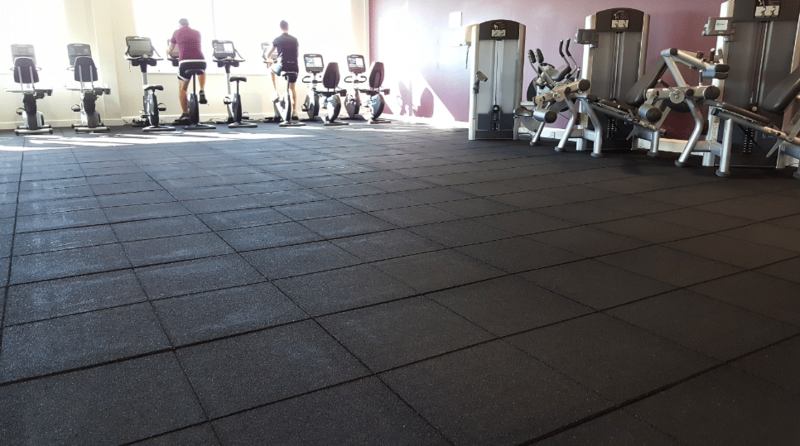 The General Manager, Regional Manager and gym staff all agreed so we went ahead with the installation. Another requirement was to supply and install a bespoke sledge track. 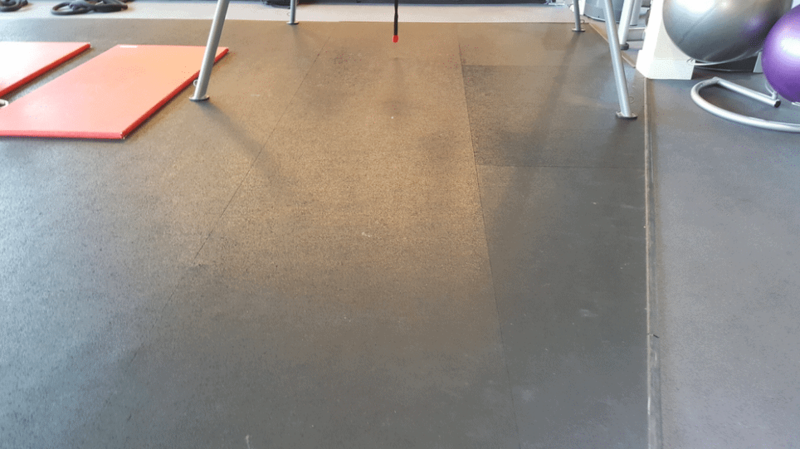 We installed one of our bespoke sledge tracks with logo- this was built-up to meet the transition of the 40mm tile, thus negating the requirement for perimeter trims. The end result was a complete transformation of an under-used area. Gary Jepson (General Manager) was very happy indeed; ‘Pleasure to have you and your team on site Ross… thoroughly professional and doing a great job’. This was a great project to be involved in, and we thank the ROKO team for the opportunity.